On March 2 at 4 p.m., MPT will host a live online community conversation about the struggles faced by youth in Baltimore as they pursue a high school diploma. The program will include young people who can speak about the challenges they face and representatives from community organizations that help at-risk youth. To join the conversation online, tweet @ThinkportMPT using #AmGradMPT during the live streaming event. The program, which is part of MPT's American Graduate initiative, will also run on MPT in the Spring. 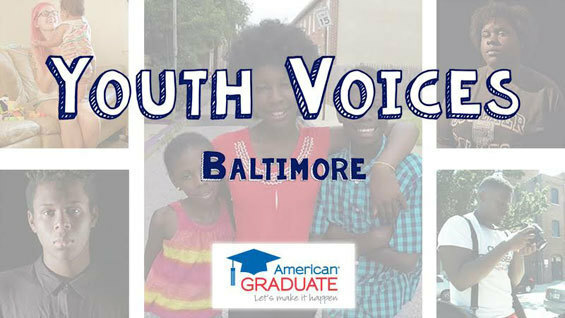 Baltimore youth share their personal struggles on the road to graduation in this collection of videos. MPT partnered with Wide Angle Youth Media to create this youth media project for the American Graduate initiative. 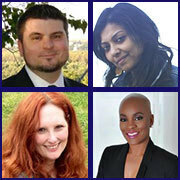 American Graduate Champions are people who help youth succeed in and out of school. Champions may have a career in education or volunteer just a few hours to help youth reach their educational and personal goals. American Graduate: Let’s Make it Happen is public media’s long-term commitment to supporting community-based solutions to the dropout crisis. Supported by the Corporation for Public Broadcasting, more than 100 public radio and television stations have joined forces with over 1,400 partners and at-risk schools across 40 states.